I saw the movie Avatar and liked it a lot. Of course, it is visually dazzling. Despite the hype, it lives up to expectations in the 3D viewing. You very quickly forget you’re watch 3D and just become immersed in the movie or, more specifically, in the planet Pandora. I haven’t read a lot of reviews of Avatar, but, just through scanning, I have some familiarity with various issues and controversies surrounding the film. So, I’ll just touch upon my view on a couple of them. The plot, while very satisfying, is also very familiar. If you go to the effort, you can pretty much figure out everything that’s going to happen in the movie after the first few minutes. My advice is, don’t go to the effort. It’s more fun. Let your “willing suspension of disbelief” take over. The religious overtones of the movie are interesting. I’ve heard some Christians have criticized the movie as a paean to pantheism, which, in their minds, is barely one step up from atheism. I disagree. Pantheism is the believe that everything is God and God is impersonal and inscrutable. 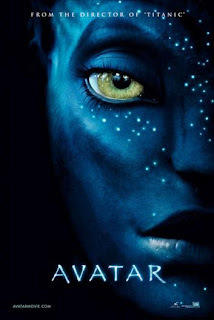 In this movie, the deity, while inscrutable, does actually seems to intervene in nature when asked to do so by the Na’Vi, much like Christians believe their God does. If anything, contrary to the Hollywood stereotype, I thought the movie showed a great respect for religion. One aspect of the movie, however, confirms the Hollywood stereotype of the “self-hating American.” The movie clearly depicts American-type characters as the bad guys. It’s no mystery why this movie is so popular in China. People wait for hours there to get in to see it. It can really be seen as an allegory on Western imperialism. The top military bad guy is a caricature of the ugly American. And the civilian businessman is even worse, since he clearly knows what they are doing is wrong and is too timid to stop it. Of course, even Director James Cameron succumbs to American movie stereotypes, since the hero is also a white American male who saves the seemingly powerless natives. And, while the religion does not contradict Christianity, in my view, it does seem more Eastern than Western, which would also appeal to Chinese sensibilities. So, the plot, while predictable, is deep enough to generate controversy and discussion. That’s good. But it’s not about the plot. It’s about the visuals, which are stunning. You can truly understand why this movie took ten years to make. While I didn’t even know it was in the making until it came out, it was worth the wait.